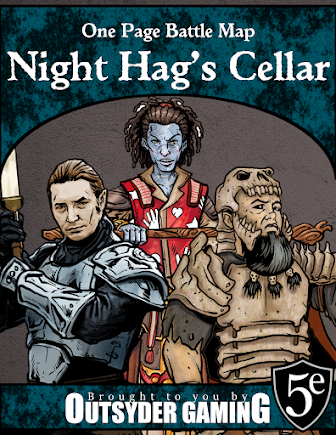 Outsyder Gaming: Night Below Campaign Setting Has Arrived! Night Below Campaign Setting Has Arrived! A Lots of Good Stuff-Ships FAST!!!! !, and despite having a screen name that implies "unprofessional," this seller is true to his/her word. The item arrived several days sooner than amazon.com predicted, and they even included a Thank You card in the box. How's that for quality service? So the big question is: Why would I order this old thing? Am I thinking about playing 2nd edition D&D again. 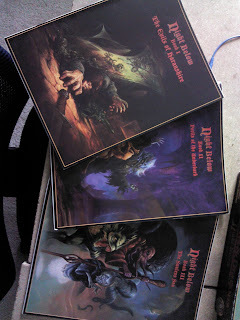 I intend to run this when the D&D Next playtest starts in May. I keep thinking about developing my own Underdark campaign, and I really would like to, but the sad truth is that I just don't have time. So my solution is to run a published adventure (or three), and just take as much creative license with the material as I want whenever I find the time to be creative. Since Shards of the Day, my favorite Dragon Magazine adventure ever, was designed to be used in conjunction with this setting, I'll probably throw it in as well. Furthermore, I think there needs to be a stronger drow presence as well, so I think a passage leading to Mantol-Derith and larger settlements of drow, duergar, and svirfneblin will be appropriate.